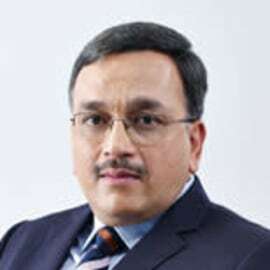 Mr. Ameet Desai has rich and diversified experience of over 27 years in the fields of Corporate Finance, Mergers & Acquisitions, Strategy Formulation and Execution, Resource Mobilization, running Business Operations, etc. He has been working with Adani Group for almost nine years,during which, he was the member of the Board of APSEZ and APL. In his responsibility as CFO-Infrastructure, he successfully led IPOs for the Port and Power Company and also handled SAP implementation, QIP of AEL, setting-up of legal function for the Infrastructure business of the group. Besides, he also handled the responsibility of running the Family Office and Real Estate business. He is a Member of APEX Committee and is responsible to contribute on various strategic issues at the group level. Earlier he worked as Vice President (Mergers & Acquisitions and Business Planning) at Ranbaxy Laboratories Ltd., where he was instrumental in establishing the merger and acquisition team and leading four cross border acquisitions. He was a team member for a global licensing transaction and also led the divestment of Allied Business of Ranbaxy Laboratories Ltd. He was the member of EC (EXCOM) – the top leadership team at Ranbaxy. Mr.Desai has also worked at Core Healthcare Ltd. where he was responsible for corporate finance, restructuring and operations.